Want to Fast Track Your Connection to Higher Dimensions and Energy? Using Egyptian Techniques to energize your Living Spaces for Healing and Transformation! Deep Egyptian Secrets & Magic – Revealed! Why has the Ancient Egyptian culture, with its amazing artifacts, remained the most entrancing and intriguing mystery of all time? Why are we naturally drawn to anything related to Old Egypt? Why does this era endure in our consciousness? Are there still lost, or hidden powers to be discovered from this iconic land? The answers — to these questions and many more — are revealed by Jill Mattson after 30 long years of work. Because of the importance of Egyptian Culture and all its associated discoveries and mysteries to mankind; because of these ties to our ultimate evolution and destiny, the Critical nature of Ancient Egypt is written indelibly into the collective unconscious of mankind. The powerful old Egyptian magic is hidden from almost everyone, but we subconsciously sense its existence. And we are deep-down aware of its potential and its role in our fate. It's as if we are in a waking dream and we know that an incredible power is just out of our reach… BUT NO LONGER! Our greatest modern Prophet, Edgar Cayce, had unique access to the Legendary Land of Mysteries, Ancient Egypt. Cayce described our attraction to ancient Egypt as the resonance of memories, deep within our souls. Cayce gave thousands of accounts of people that experienced past lives in Egypt (he once lived as a powerful Egyptian priest). Learning her secrets enables us to reach and to realize deeper aspects of ourselves. ​and yet it lives in our imaginations. Ancient Egyptian "Magic" mirrors today's most perplexing scientific theory: Quantum Physics. We are rapidly approaching an Age when we will be able to confirm and understand the Egyptian mysteries and secrets. And most importantly, we will be able to use these powers to change our lives and the world around us. But why wait? Jill Mattson offers these insights today. 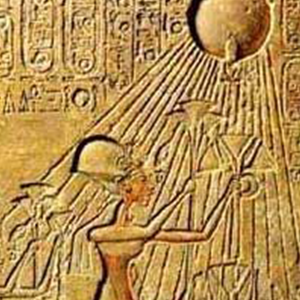 The high priests of Egyptian Temples were aware of Energy Portals through which we can reach Higher Healing Energies. They left us clues how to access these treasure troves of many blessings. Each Egyptian Temple had areas of special expertise and offered paths to profound benefits, such as "youthening", abundance, powerful sustained healing, self-power and emotional healing. Most importantly, the ultimate aspiration of all the Egyptian Temples was to attain the Resurrection Frequencies, AKA the sound codes to open the corresponding ten Energy Portals (the Sephiroth) in the Tree-of-Life. Award-winning author, Jill Mattson, presents sound codes to open the most prized and hidden ancient energy streams, the Sephiroth of the Tree of Life. Jill uses techniques taught in the temples of Isis, Throth, Ra and so many more. Remember YOUR past lives from the temples of Ancient Egyptian Mysteries! Experience activations to increase consciousness, awareness and health. Learn Secrets of the Elohim Angels. Learn how to use magical words for manifesting! Discover the pharaohs' secret methods for maintaining virility into old age! The vast majority of resources from the great empire of Ancient Egypt was funneled into their Temples. Thousands of priests developed highly effective subtle energy methods for many thousands of years. The knowledge and techniques will transform our lives. What are these secrets? Included in this package are 6 hours of Videos - bringing back your memories of ancient Egypt, recollection of your past lives in the Ancient Egyptian priesthood and most importantly the prized and secret techniques that the priests guarded closely. These hidden methods (see list below) will transform every aspect of your life! Isis’s Massage & Reiki Toning – Ad Isis Toning to your Healing Practices! Learn about Dimensional Energy and how to access what you want! Old Thought Forms and Habits Are Drifting Away… I Feel Like It's Soul Magic! I have so much more clarity after discovering your secrets from ancient Egypt. My old pain is shifting almost instantly on all levels. Old thought forms and habits are drifting away. I'm sleeping better too. I am detoxing physically and emotionally but I realize that has to happen to. Some physical ailments are getting better every day. I feel like it's soul magic! I have a deeper innate knowing with myself and clients. I feel more and more like me!! I knew your Egyptian knowledge would be life changing because I felt a strong energy pulling me to it for days. I was initiated into a higher frequency for sure. Your classes helped me understand what I've been doing energetically all along. Thank you again and you can use any part of this testimony if you want and I am sure we will meet again! NANCY B. Adventure into Ancient Egypt, Revealing Why the Egyptian Heritage Interests You! Jill's Attunement Package contains sacred shapes — the exact frequencies and colors to alter your etheric spine and chakras, allowing them to carry an immense amount of light. 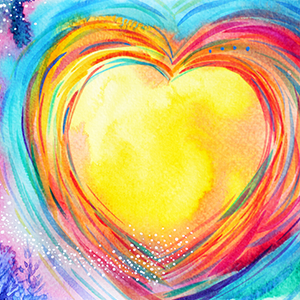 These Attunements can send us soaring upwards… to become, once again, the former higher energetic beings we once were and bestow countless, almost unimaginable benefits!The Attunements are accompanied by energy activations & treatments. They are preparatory treatments to enable you to receive, maintain and integrate higher energy streams. Learn about Resonance and how you receive the frequencies you want in your life — to get what you want! 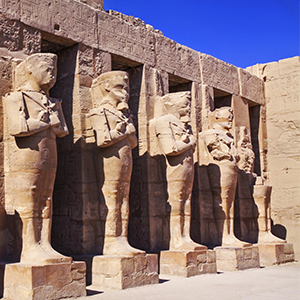 Adventure into Ancient Egypt – revealing why the Egyptian heritage interests you! An overview of this program: Videos, techniques, attunements! ​Building our energies to receive and integrate high energies from the Sephiroth attunements. What was life like as a priest or priestess? The life of a priest or priestess. What was temple life like?? Basics of Egyptian Healing & Magic. The Secrets of the Egyptian Mysteries were a tremendous force in the group consciousness of mankind. Although they are hidden from the physical world, we are unconsciously aware of them. They entice us to remember and use powerful these techniques that WORKED MAGIC! Notice which gods or goddesses seem intriguing or attractive? ​from Jill Mattson’s The Lost Waves of Time. ​which you can use too! lifted and firmed through gentle toning energies. by simply being in your room! 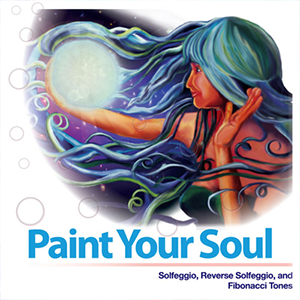 which includes the Fibonacci series of numbers (found in the geometries of solar systems, plants, seashells, the human body, and in some of the world’s most loved art and architecture) has also been converted into musical form in Paint Your Soul CD. Ancient clairvoyant could see someone’s aura light up, whenever they listened to this pattern of frequencies, called the Solfeggio tones. They could see in plain sight – the healing power – on a multitude of levels of these special frequencies. As people lost clairvoyant vision, they were encoded in the Bible to insure their safekeeping through the ages. These tones sparkle throughout the Paint your Soul CD. ​is contained in Paint Your Soul CD. Elemental Healing using the real purpose and secret of the Philosophers’ Stone (turning a stone into gold. Learn the most powerful application of this technique! Adventure on a guided Past Life Regression – revealing why Ancient Egypt interests you! How did the Egyptian lifetime relate to this life? What temples and Gods were you associated with? What skills did you possess that can help you right now? 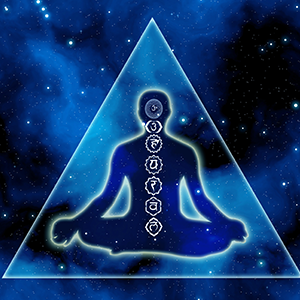 Chakras are developed and activated with special sequences of tones! It is not just the chakra frequencies, but the order that the chakra Frequencies occur in that unlock portals to opening up to Higher Dimensions of Light! Listen, Receive, Experience & Enjoy! Using ancient sound & music based techniques (that dovetail with quantum physics) to increase the vitality,productivity and beauty of your garden and plants! ​Watch and listen as Jill guides you through each of the Sephiroth Energy Gateways. Discussed in each of these masterfully prepared video and audio elements are the energies, location, shape, harmonics and channeled energies for each of the 10 Attunements. What exactly is an Attunement - so many people use this word in a variety of ways. How an Attunements (here) is a sound, color or shape code to unlock Higher Portals of Light! How are these Attunements created? What are their benefits for you - right now? 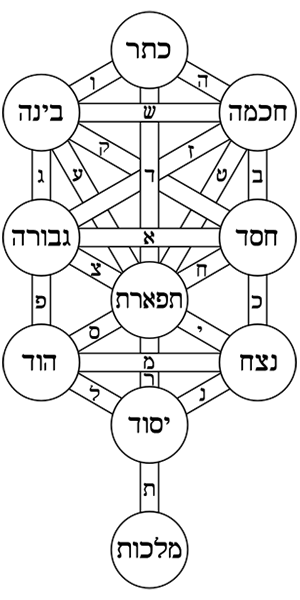 What is the Egyptian & Kabbalah Tree of Life & Sephiroth? What are the 10 Sephiroth? How do they work together? 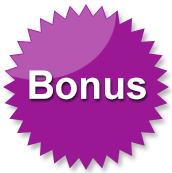 What are the benefits of each one? How to get the most out of them? What Channeled Energies are in this Attunement? On Angels Wings includes the frequency equivalents of essential vitamins and nutrients critical to healthy skin. Collagen, muscles and skin tissues of the face and neck are lifted and firmed through gentle toning energies. 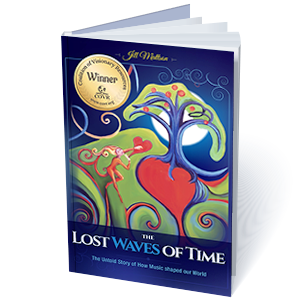 The Lost Waves of Time is deeply researched and enormous in scope. The power of sound energy is traced from the mythical worlds of Atlantis and Lemuria through the first civilizations — through Ancient India, China, Egypt and beyond — extending into Modern times. The same mystical tool was closely guarded by Shaman, High Priests and Kings. Their enduring knowledge: the vibrational energy of music slowly shapes human emotions, behaviors and intellect. These subtle influences accumulate and solidify, resulting in sweeping cultural reform… music's fluid energy relentlessly molds everything in its path. It is still working today. Beneficial states of Consciousness to influence Physical Body Well Being. Vibrational Energy that Invigorates and Tunes Healthy Body Organs Including Healing Frequencies from: Major Elements in your Body, Schumann Earth Tones, Anti-Inflammation, Pyramid Energy, Sacred Geometry and more healing subtle energies. My Soul from Paint Your Soul which includes the Fibonacci series of numbers (found in the geometries of solar systems, plants, seashells, the human body, and in some of the world's most loved art and architecture) has also been converted into musical form in Paint Your Soul CD. Ancient clairvoyant could see someone's aura light up, whenever they listened to this pattern of frequencies, called the Solfeggio tones. They could see in plain sight — the healing power — on a multitude of levels of these special frequencies. As people lost clairvoyant vision, they were encoded in the Bible to insure their safekeeping through the ages. These tones sparkle throughout the Paint your Soul CD. The numerical pattern of the Solfeggio tones was incomplete, as evidenced by unfinished numerical sequences. The fully completed series, 18 tones, translated into musical tones using tuning forks, is contained in Paint Your Soul CD. Very peaceful, saw bright violet flames. Whole body tingling. Amazing experience. ​I felt swirls of rainbow light energy swirling around my whole entire body. Very powerful. Whoo Hoo!!! Love love love Jill’s frequencies codes to higher dimensional healing for all! My whole chest lost all stress and tightness, then I felt ready to weep in memory of a moment of time remembered and forgotten. Oh the beauty of this awareness. Let go, surrender and come home to your cosmic heart. Oh my soul… there you are… welcome. Rippling waves of gold and purple moving outward. Feeling expansive and powerful! Wow. Thank you so much for those healing sounds and songs. The have inspired within me a rejuvenation renascence. As a little kid I have been abducted by MILAB operations then blank slated. This left horribly deep pockets of PTSD that I am now dealing with. The hardest part is you can't remember what you PTSD because of the blank slating. However the Flower Symphonies are extracting my PTSD and unknown toxic emotions. By far the most effective treatment I have yet come across in my work. Absolutely brilliant. This track makes me feel like that young boy on spring morning exploring the world back to my wonder and light. Your tracks take me back to a hidden part of me that closed off a long time ago and re-open it to love. Its palpable...and amazing!! You are a gift and your music goes to the deepest parts of me and make them come back into the sunshine for love and healing". Jill Mattson is a prolific Artist, Musician and Author. 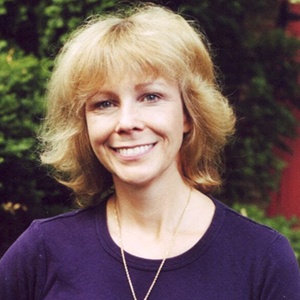 Jill is widely recognized expert and composer in the field of Sound & Color Healing! She has also produced nine musical CDs with intriguing, magical tracks using ancient & modern techniques, & special healing frequencies to achieve profound benefits. Jill is a four - time author. 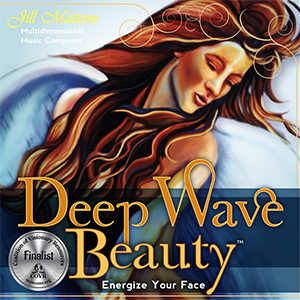 (Crystal Realms CD – Best Sound Healing CD of 2017, Best Overall Music (popular Vote and Industry Leader’s Choice – Gold Awards), The Lost Waves of Time – Best Book of 2016 and Best Alternative Science book of 2016, Deep Wave Body Healing CD– Best Sound Healing CD of 2016, Contacting Angels & Masters CD – Best CD of 2015 and Deep Wave Beauty CD – Best New Age CD – Silver Award). Jill has participating in many hundreds of teleseminars, radios shows, and magazines! She offers an online Sound (& Color) Healing School. Jill presents new ways of approaching health and everyday issues using the benefits of sound and color!